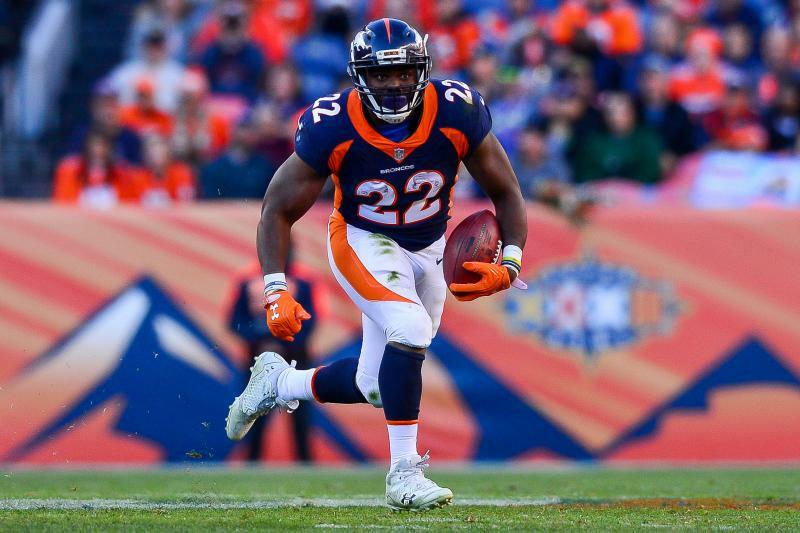 Home / Fantasy Football / Can These Running Backs Post Back-to-Back 1,000-Yard Seasons? Can These Running Backs Post Back-to-Back 1,000-Yard Seasons? If you owned the likes of David Johnson, Jay Ajayi or Ezekiel Elliott last season, I’m sorry. I don’t think I’m going out on a limb when I say they failed to meet expectations. 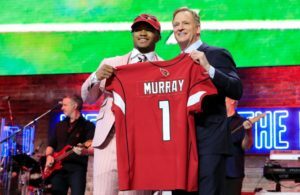 Whether due to suspension, injury or simply a lackluster performance, none of these running backs were able to replicate the 2016 production which had made them such hot commodities. But I could have told you that. When researching breakout running backs last summer I found that over the past ten years, only 38% of players coming off their first 1,000 yard rushing season were able to reach 1,000 yards again the very next year. This held true last season. Elliott, Jordan Howard, Ajayi, Johnson and Mark Ingram posted their first career 1,000 yard rushing seasons in 2016. Only Howard and Ingram reached the 1,000 yard mark again in 2017. What this tells us going forward is that newly found success is not easily sustainable. We see it every year. 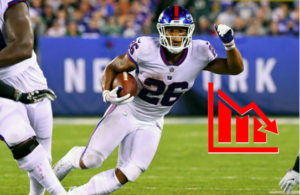 A handful of players put up career numbers, surpass the 1,000 yard mark, and send their fantasy draft stock for the next season through the roof. Poor, unsuspecting fantasy owners draft these shiny new toys in lieu of established, reliable veterans, and pay dearly. This year we have Kareem Hunt, Melvin Gordon, Leonard Fournette and C.J. Anderson coming off their inaugural 1,000 yard season. If you chose to pass on this group in favor of proven vets, I couldn’t blame you. For those willing to gamble hitting on the 38% that do repeat, let’s dive into each rusher from least to most likely to retain their 2017 form. 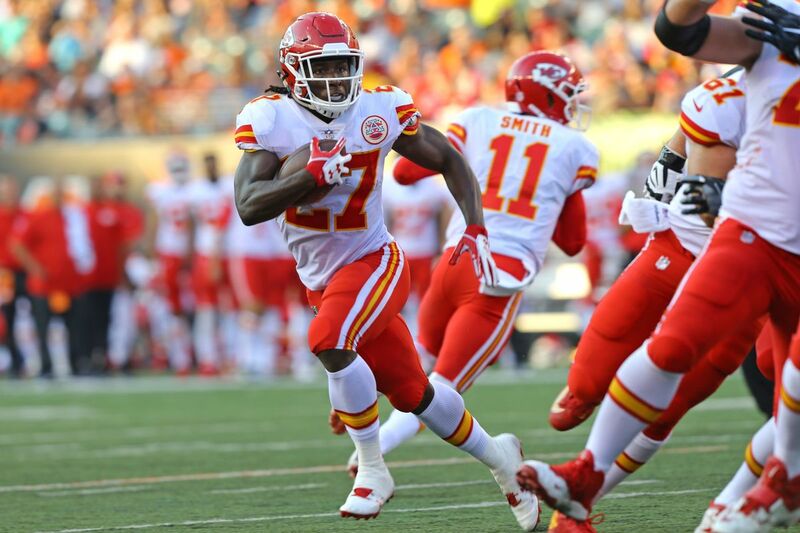 Undrafted out of Cal, Anderson finally cracked the 1,000 yard rushing mark in his fifth NFL season. Despite becoming the first Bronco to do so since 2013, Denver cut the 27 year-old in April to create more cap space. A few weeks later the veteran signed a one-year “prove it” deal with Carolina, where he joins 2017’s eighth-overall pick, Christian McCaffrey, in the backfield. The presence of McCaffrey is the most significant blockade to Anderson’s second 1,000 yard campaign. ESPN’s David Newton reports that Head Coach, Ron Rivera, sees no reason why McCaffrey can’t reach 200 carries this year, after accumulating just 117 as a rookie. The 22 year-old tacked on five pounds of muscle this offseason in anticipation of an increased workload and is expected to be the feature ‘back for new Offensive Coordinator, Norv Turner. 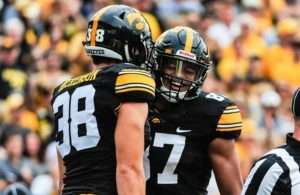 While Anderson will certainly play a role in the Panthers’ ground game, he is unlikely to see enough carries to reach 1,000 yards, barring an injury to McCaffrey. When healthy, Fournette is a punishing runner with breakaway speed in an offense that led the league with 527 rush attempts in 2017. If last year’s fourth-overall pick doesn’t reach 1,000 yards rushing in 2018, it will be because of injuries. Fournette has a history of ankle issues that date back to his college days. In his final season at LSU, Fournette missed six games thanks to a high ankle sprain and bone bruise. He missed two games his rookie year with ankle and quad problems, and one more for disciplinary reasons. Even when his ailments aren’t enough to sideline the 23 year-old, they’ve proven capable of slowing him down. 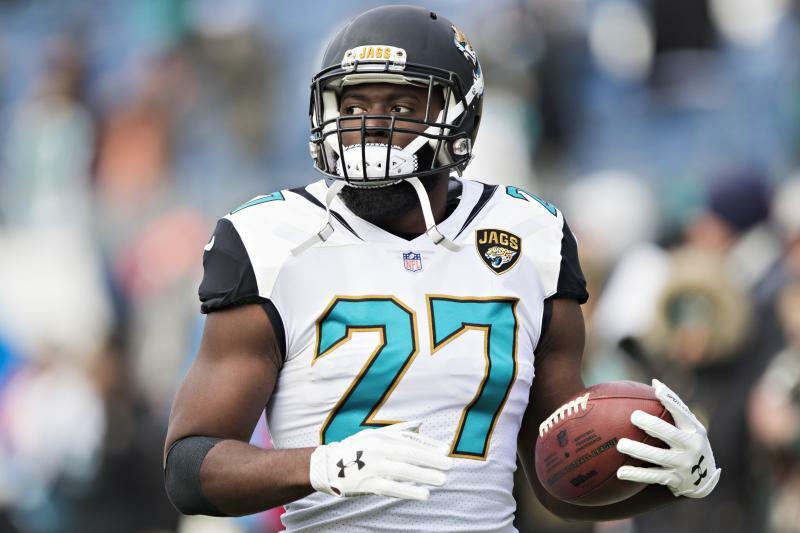 Fournette averaged 4.22 yards per carry (YPC) through his first eight games as a Jaguar and posted four 100 yard rushing performances during span. As the season wore on and his body took a greater beating, he managed just 3.3 YPC and two 100 yard games over his last eight contests (including playoffs). With a current average draft position (ADP) of eleventh-overall, Fournette offers a high-risk high-reward proposition. Currently going one spot ahead of Fournette in fantasy drafts is 2017’s rushing leader, Kareem Hunt. The third-round pick from Toledo played like a man possessed his rookie season, pacing the league with 89 broken tackles while starting every game (including playoffs). Although his 53 catches were the eleventh-most amongst running backs last year, Hunt has placed added emphasis on sharpening his receiving skills this offseason. That should allow him to remain on the field for obvious passing situations, when Charcandrick West often subbed in a year ago. While Hunt seems more likely to eclipse 1,000 rushing yards this season than not, there are reasons to be cautious. 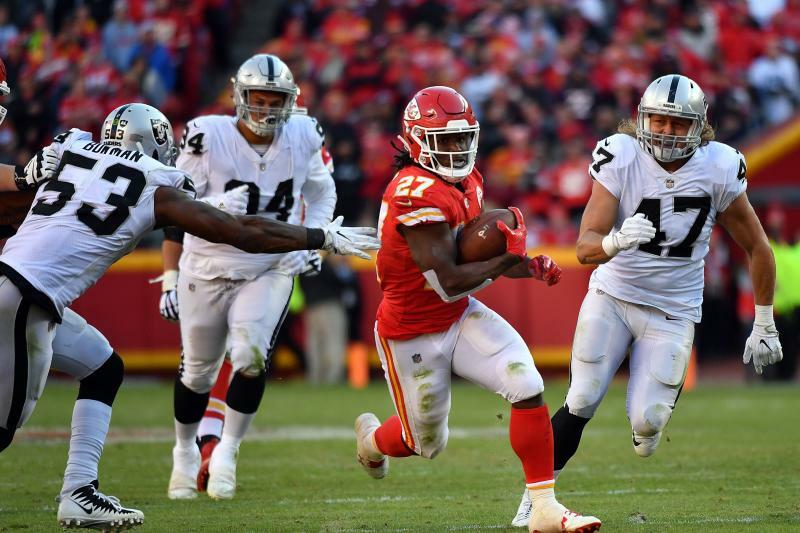 After toting over 90% of the halfback carries last year, Hunt may have to share more of the load as veteran ‘back, Spencer Ware, returns from injury. Additionally, second-year quarterback, Patrick Mahomes, is preparing to embark on his first season as the full-time starter. Though he’s expected to impress, there’s a slight chance Mahomes falls on his face, leaving Hunt to stare down stacked boxes all year long. The Wolf can tell you how much I struggled with this decision. For the record, placing Gordon above of Hunt was like trying to argue which brand of beer is most refreshing on a hot summer day. 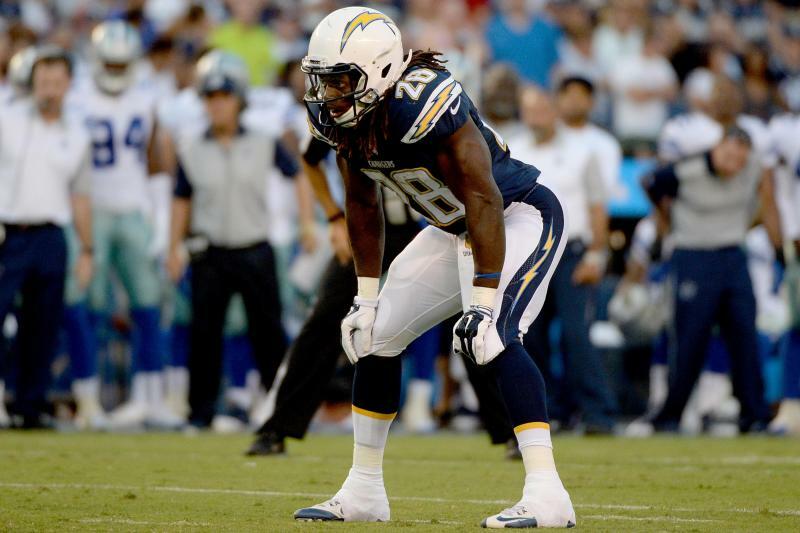 Drafted 15th overall in 2015, Gordon’s three-year history suggests he is the most likely to turn in another 1,000 yard season. After a mediocre rookie campaign, Gordon began training with future Hall of Famer, Adrian Peterson, that very offseason to improve his game. The effort paid off, as Gordon has averaged 1,050 rushing yards over the past two seasons, falling three yards short of 1,000 in 2016. The 25 year-old has finished as a top-ten fantasy ‘back each of the past two years, racking up 24 total touchdowns over that time. My hang-up with Gordon revolves around his track record of landing on Injured Reserve. Each of his first two seasons were cut short due to a torn meniscus and sprained PCL, respectively. Nonetheless, Gordon has only missed five career games, and put together his first complete 16 game season in 2017. Agree? Disagree? Sound off below!